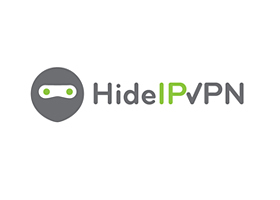 HideIPVPN is a competitive VPN service provider that launched back in 2009, and with a decade of experience and longevity, it’s safe to say they are doing something right. They serve VPN, Smart DNS and proxy servers together as part of one package, making it a well-rounded service for just about every type of hardware and usage. The service has undergone many improvements since it launched, and although it does not cover a large list of countries, it does have a fair coverage for most needs. As of 2019, here is my in-depth review and testing of their latest version, in hopes to provide a good overview of the pros and cons of this service provider. Security is a priority for HideIPVPN and they have done a good job of keeping at the forefront of ensuring privacy and up to date encryption for their users. For starters, the application provides all the available protocols; OpenVPN, IKEv2 SSTP, L2TP/IPsec, or PPTP. Users can also opt to use SoftEther as an alternative client. The company uses 256-bit keys combined with 4096-bit RSA encryption to ensure a high level of security on all your data when using the correct connection protocols. L2TP and PPTP should be avoided unless that is all your device supports. For Windows users, it should be noted that by default, the Windows client selects SSTP, and although this protocol is capable of very high encryption keys, it is proprietary and does not undergo public audits such as OpenVPN or IKEv2, however if you’re looking to attain better speeds over security, SSTP is worth testing as an optimized protocol. HideIPVPN does not maintain logs of user web activity or data, and they state that at this moment the company still operate under US jurisdiction. This is unfortunate, since they company is based out of Moldova, which does have some issues with government interference, but no data retention laws. According to their policy, they currently log which servers and protocols user accounts connect to for a a period of 3 days. At the end of the first 3 days, the logs are deleted and this process repeats itself during the first 30 days of service The company currently has a 30-day refund policy, and the website states that they guarantee the refund, even if you are simply unsatisfied. However, they still keep the connection logs for those 30 days for troubleshooting purposes. If you wish to have a VPN that does not keep any logs whatsoever, including user server connection logs for a period of 3 days, HideIPVPN is likely not the choice you’re looking for. But if all you’re trying to do is protect your data from cyber criminals, unblock content, and gain privacy from your ISP and advertisers, than the service logs are not of concern. I tested all 11 server locations, and in some cases additional servers, and HideIPVPN passed all IP, DNS and WebRTC leaks. The VPN provides DNS leak protection on by default, but it does lack a kill switch. Instead it attempts to reconnect when the connection drops, also turned on by default. It would be a good addition to have a kill switch added to the automatic reconnect feature for even better security against leaks. Kudos to the company for providing functional leak protection across all servers. The service provides coverage in 11 different countries, USA, Canada, UK, Poland,Netherlands, Germany, France, Lithuania, Luxembourg, Singapore and Australia. Across these countries, a total of 29 servers are currently offered to provide a better coverage with the selection of different cities to choose from. Once installed, as previously mentioned under the Security and Privacy overview, the VPN app settings basically offer default DNS leak protection, the option to automatically connect on login, and startup, and an app killer tool, which allows you to create a list of apps to automatically shut down when you connect to a VPN server. But that’s pretty much it. The server list does not provide any stats or organize them for specific usage. The only option available is to sort them by speed or bookmarked favorites. As of 2019, speed performance was above average for most servers I tested, and I did not suffer any disconnections when using for an extended period of time. Although the selection is small, it provides a well rounded coverage for most VPN users, and enough servers on key streaming locations to find a short route with good speeds. But again, the client does lack detailed server information such as ping response, and distance, which help provide a starting point of servers to test with. Otherwise, I have no complaints with the client, as it worked as intended on all protocols, and gave no issues when installing or uninstalling. streaming services. Unfortunately, these platforms don’t allow for third party apps to be installed, but a Smart DNS server can be configured under the connection settings, which allows you to access different geographical regions without using a VPN. Although Smart DNS does not encrypt your traffic and therefore not suitable for privacy, it’s a perfect solution for streaming since it does not affect your download speeds by considerable amounts like encrypted VPN servers do. Installing and setting up the app is fast and easy, and the tutorials are well explained with step by step visual instructions to avoid confusion. The tutorials are a good introduction for first time users for both VPN and Smart DNS configurations for their devices at home. Therefore if you plan on using Smart DNS on devices you stream with, the combined services do make HideIPVPN a valuable choice. Having good speeds is only half the battle when it comes to unblocking geographically restricted streaming platforms. HideIPVPN successfully unblocked Netflix, Hulu and BBC One during testing with US, UK and Canadian VPN servers. Safe to say that it makes a good choice to unblock any streaming site and the fast bandwidth speeds attainable by testing some servers make it an applicable choice for casting a few high definition screens. However, speed results can vary for everyone, and if you want even better speeds, the Smart DNS servers are always available through your VPN subscription, providing even more access and utility for this type of service application if you’re willing to forgo security. Currently, the cost of the subscription plans start at $6.99 per month, and the cost can be reduced to $5.99 or $4.99 for pre-paid quarterly or yearly plans. Each account allows the VPN to be used on 3 simultaneous devices. Smart DNS and proxy servers are included under every plan, which is great to keep things simple when ordering. At the moment, you can also get a 50% off discount on a second bundled subscription. If you plan to use Smart DNS or proxy servers additionally to a VPN, the pricing is competitive considering that the encrypted servers performed well across with good speeds and security. However, performance can vary depending on your location and internet connection, and although HideIPVPN states they offer a 30-day money back guarantee, as seen under the Security and Privacy section, the refund policy is limited to users that for one reason or another had been unable to connect to any servers. The company advises having opted for a restricted refund policy because they provide a free trial that gives users the chance to test drive their service. The VPN trial only lasts 24 hours, but it is highly advised to opt for testing with the trial version before making a commitment to purchase HideIPVPN. A Smart DNS trial is also available, and lasts a whole 7 days, allowing you ample time to test different configurations. Unfortunately, on first glance, unless you dig into the terms of service page, you may fall under the wrong impression regarding their 30-day money back guarantee statement. Beyond having an extensive FAQ and setup tutorials for various devices and platforms, HideIPVPN provides ‘round the clock 24/7 support with fast response times, and support staff can even help out users by remotely configuring their software with TeamViewer should they run into any technical difficulties. Support staff are both knowledgeable and professional. Customer support is initiated via a live chat system, or you can create a ticket directly under the user account dashboard on the website. Overall, HideIPVPN is one of the few good combinations of VPN and SmartDNS services around. The VPN service performed well in our leak and speed tests. I encountered no issues using their VPN client, and the tutorials for Smart DNS and Proxy configurations are simple to follow, making it more accessible to first time users. Testing Smart DNS went well, and as expected, I suffered little to no loss on my download speeds, allowing me to stream content with ease. This service makes a good choice for security over VPN and additional streaming capabilities with Smart DNS. And although the VPN speeds alone should facilitate streaming on their own, there are more competitive offers with bigger server selections and more simultaneous users per account available. Beyond HideIPVPN’s app lacking some server details to improve user experience, the only other downside is the 3-day connection log policy. Otherwise, HideIPVPN’s performance was great, making it a good consideration for combined VPN, Smart DNS and proxy servers. It’s one of 5 vpns I’ve tested. Speed and quality was the worst possible.